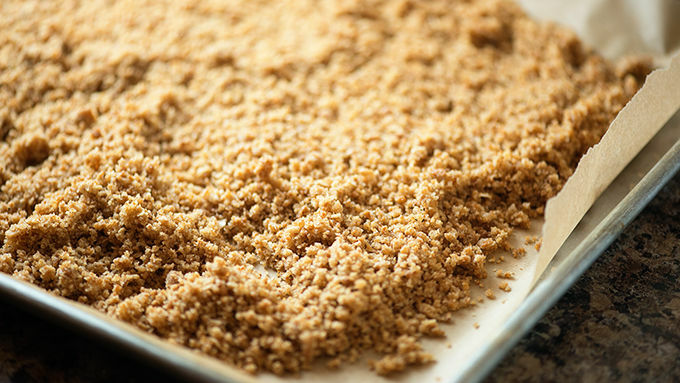 Preheat oven to 350° F. Add granola bars to a food processor and process to fine crumbs. 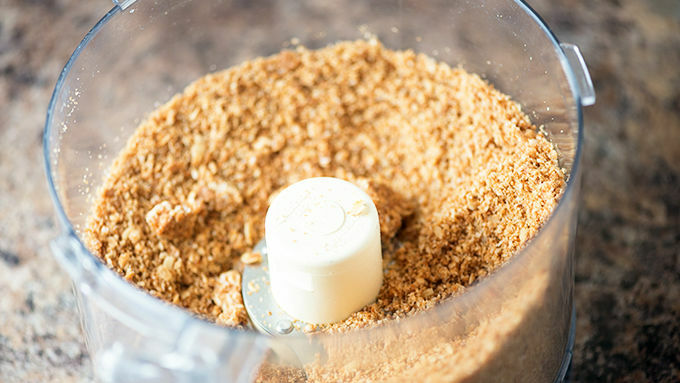 Add the flour, brown sugar, and melted butter. Pulse to combine. Spread granola onto parchment-lined baking sheet and bake for 10 minutes. 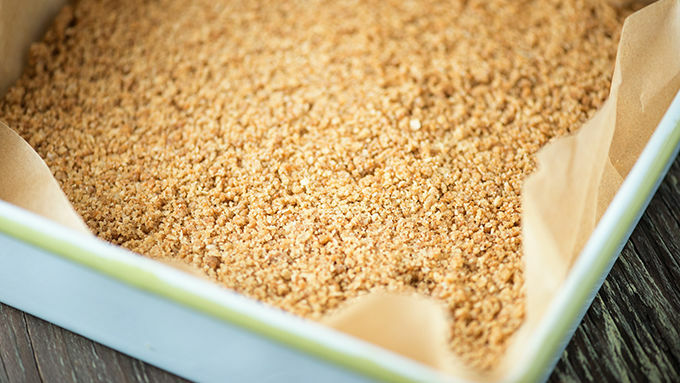 Press half of the granola into a parchment-lined 8 x 8-inch baking dish. 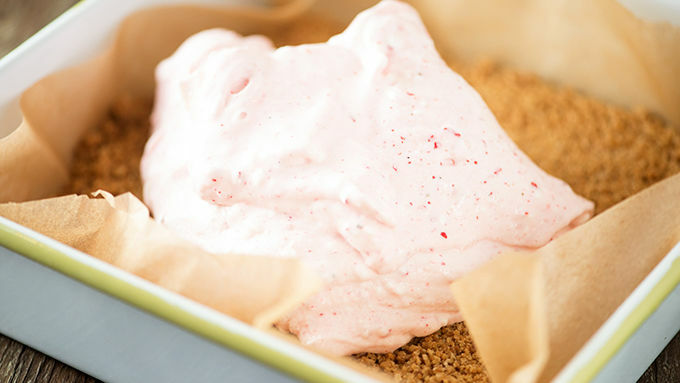 In a large bowl, stir together softened ice cream and crushed candy canes. Spread ice cream over granola. 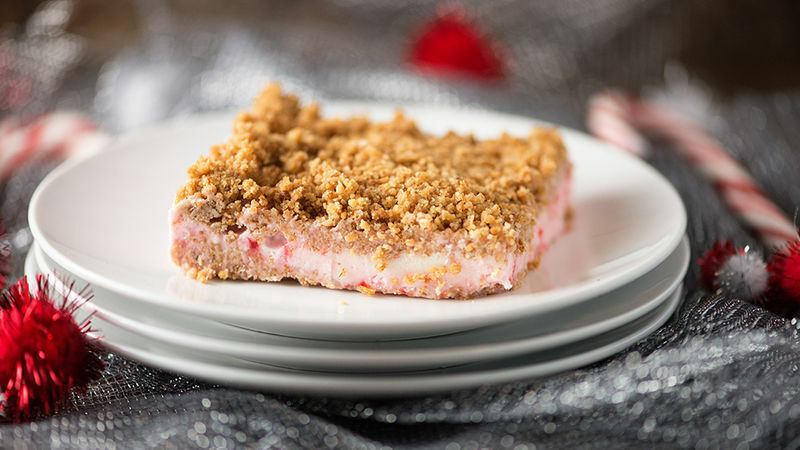 Top with remaining granola and gently press it into the ice cream to form the top crust. Cover with foil and freeze 4 hours before serving. Did you know that there are people out there that only eat ice cream in the summer? I know. It’s strange. I mean, I get where they’re coming from. It’s cold out and ice cream just makes you even colder. But seriously. Surely you have heat in your house? And it’s warm and toasty in there? Where you’ll be eating the ice cream? Yeah. I thought so. So let’s make some frozen crunch cake! It’s a fun way to dress up a carton of boring old vanilla ice cream and only takes about 20 minutes of hands-on time. Freeze for a few hours and then devour.